Today we are taking a trip down memory lane. This is the second in the series I’m calling Flash Back. The original post was shared way back in May of 2012. I hope you will find it as informative as I do. Many quilts have borders but that’s where the similarities end. Borders can be very simple or extremely elaborate. Your imagination, abilities and resources are your only limitations. Traversing the seemingly endless options can be insurmountable but with a little patience and careful contemplation you too can design a border that wonderfully complements your quilt. Measuring and attaching your border or borders is as important as their design. A border hastily applied can do more harm than good. Among the unfortunate side effects are wavy edges, obstacles to long arm quilting as well as unsightly draping when displayed. chances are we would obtain three different numbers. The measurement taken through the center would be the most accurate number to use. The center would have the least amount of give or distortion. The measured distance through the center of your quilt, from top to bottom, is the length your strips should be cut when attaching borders to the sides of your quilt. The measured distance through the center of you quilt, from side to side, is the length your strips should be cut when attaching borders to the top and bottom edges of your quilt. Typically quilters will first attach the top and bottom borders, then add borders to the left and right edges. If you would rather do the exact opposite it’s completely acceptable. For this demonstration we will first add border strips to the top and bottom edges, then to the left and right edges. Using the guidelines above measure and cut the fabric strips for the top and bottom edges of your quilt. Once you have done so find and mark the center of the quilt edge you will be working with. Then do the same with the border. Match and pin those two center points together. Next match up the left corner of your quilt with the left corner of the border. Pin the two corners together. 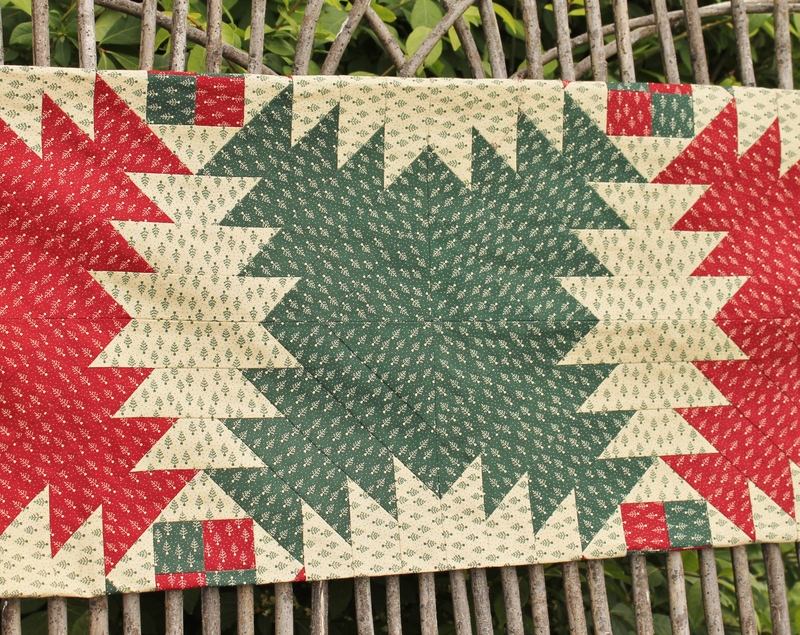 Now match the right corner of your quilt with the right corner of your border. Add pins, as needed to evenly distribute any excess fabric. Be sure to remove the pins, as you approach them with your presser foot, to avoid breaking or bending a needle. Repeat these steps on all four sides of your quilt. When finished your quilt top should be as close to square as possible. If you will be adding more than one border simply follow the above twelve steps for each additional border. Also, before cutting the fabric for the additional borders be sure to follow the tips mentioned above when deciding how long each strip or border piece should be. I am confident that these suggestions will assist you in achieving a pleasant outcome. If the steps that I have just described seem confusing, watch this You Tube video and perhaps you will better understand. These are great instructions for future reference. Some of my early borders looked like they were done while heavily sedated, ha!